Welcome to eBook torrent post today. Here in this post day, we’d unleash our interest for the best eBook torrenting sites in 2017 to search and download eBooks for free. If you love to check Reddit you would see tons of torrent sites for downloading movies, songs, and other files. However, this post is strictly for academic purpose today and we’d be sharing with you strictly torrent eBook sharing sites with you. Bookzz used to be one of the best torrent sites to download eBooks for free but it’s no more. However, here are the best alternatives to Bookzz eBook torrent sites to search and download free journals, textbooks, handbooks etc. The list eBook torrenting site 2017 was compiled after checkmate the entire eBook sites and single-handedly select the top notch once that you can download eBooks from legally. The core purpose of searching for best eBook torrent sites is to be able to download paid eBooks for free as an educationist, however, the list of torrenting eBooks you can download from the sites we’ll share in this article are not limited to classroom text alone but will also include eBooks site to download business and finance eBooks for free. As we share these sites with you we all stand up for free access to download premium eBooks from free using any other these torrenting sites. Below is the list of best and most valuable torrent eBook sites. It’s also worth to note that these sites were chosen based on popularity. eBookshare is one of the best eBook torrent sites to search and download eBooks for free. eBooks on eBookshare are sectioned into a category and thus making it extremely easy to be able to search for your desired eBook once you can identify the category it belongs without necessarily needs to go through the entire site searching for a specific eBook. This is yet another popular eBook torrent site to search and download eBooks for free. FreeBookSpot makes searching for new eBook very easy. You can easily search for eBook of your choice with ISBN number, author’s name and book title on freebookspot. There is no limitation to the users’ access on freebookspot once you are a registered member, and membership is free. 1Torrent is a cool website to search and download any torrenting eBooks for free. This eBook torrenting site dedicated a whole category for free eBook. All you need to do is search for your desired eBook using the search box and download it with the website integrated download button. WikiBook is one the most popular eBook torrent sites on the internet for downloading a torrenting eBooks. Just like other wiki sites, wikibooks makes it extremely easy to search and download eBooks based on your language. Wikibooks has cool homepage design and a non-techie person can download any eBook using Wikibooks eBook torrenting site. Next on the list of our eBook torrenting site is the pirate bay. The pirate bay has lived for 11 good years full of testimony and one of the most popular categories on the pirate bay is the eBook download section. This torrent site grants users free access to all eBook available in the category for free and makes downloading of the eBooks extremely easy. As an academician, I’m a true fan of many books torrent site. One good feature I love about many books eBook torrent site is the ability to filter your search based on genres, titles, authors, languages, and others. As at this time, many books have over 35,000 free eBooks available for download. Also, eBooks on this torrenting site are section into categories such as fictions, comics, standards, scientific articles, business books, financial books etc. PlaneteBooks is another fantastic eBook site to search and download paid eBooks for free legally. This site strictly shares only eBooks and nothing more. Meanwhile, currently, this eBooks torrent site has over 30,000 free eBook available for download. Library Genesis is a very popular eBook site. This site is aged and has built its name from day one for sharing quality eBooks for free. Library Genesis search nooks and cranny of most popular eBooks search engine including Google scholar to provide a result to search terms. eBooks3000 is another popular eBook torrenting site in 2017 you will love to romance for a better eBook search results. eBooks on this site are also sectioned into categories which make it very easy to search for your favorite eBooks. Bookshare is another powerful eBook torrenting site trending in 2017 to download eBook for free. 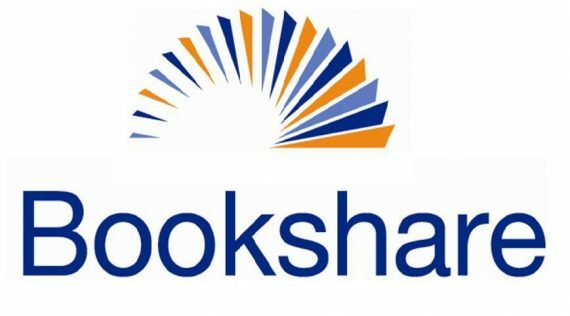 With 552, 000 eBook available for download Bookshare is still counting and is growing very fast. Bookshare allows users to listen to eBook online and enjoy it in form of pdf, ePub etc. depending on your interest. These list of eBook torrent sites are highly recommended to get premium eBook for free in 2017 and downloading eBooks from this sites are legal. Thank You very much sir. You have no idea but you saved my life. Thanks a lot. God bless you and your family. You comment reply give me life and descend on me a burning desire…. Thanks so you for visiting our website.